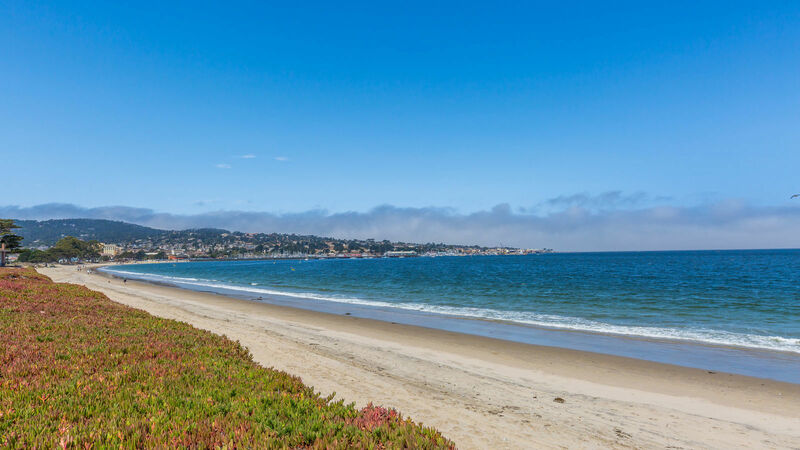 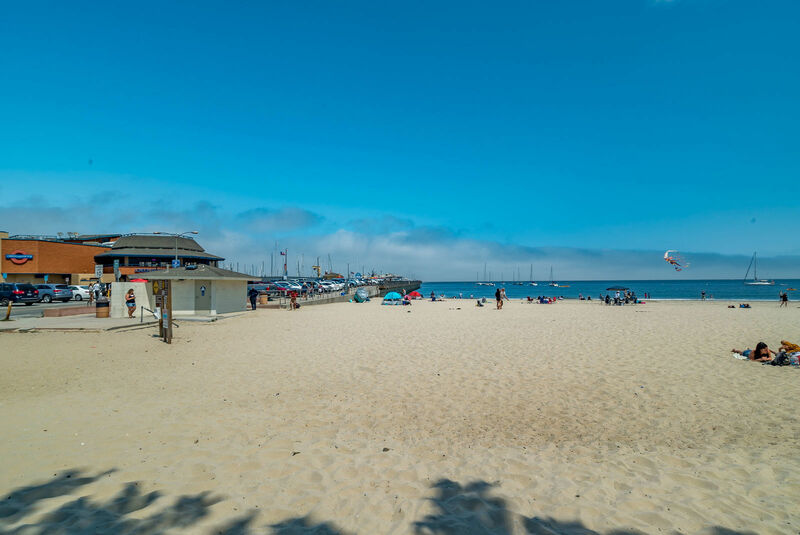 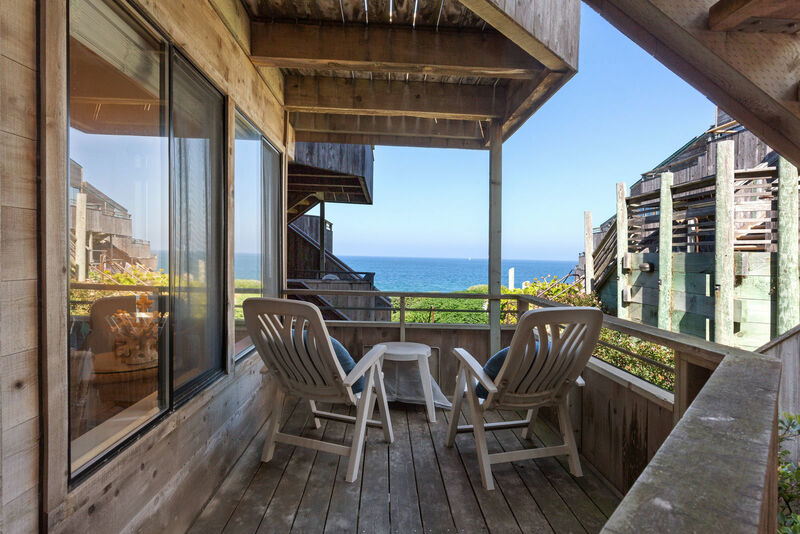 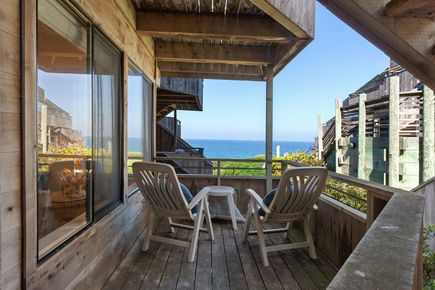 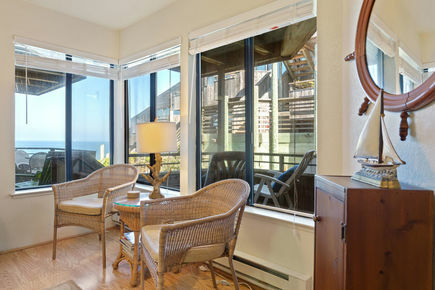 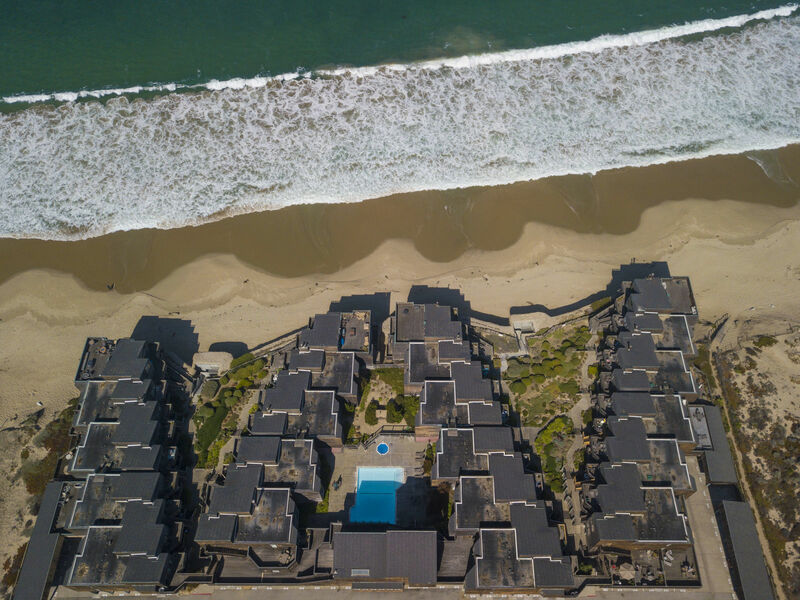 Ocean front, Monterey beach living at its finest. 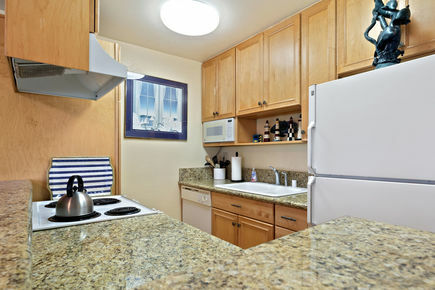 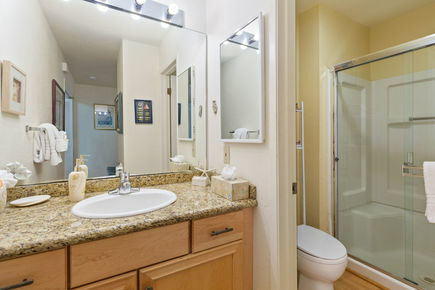 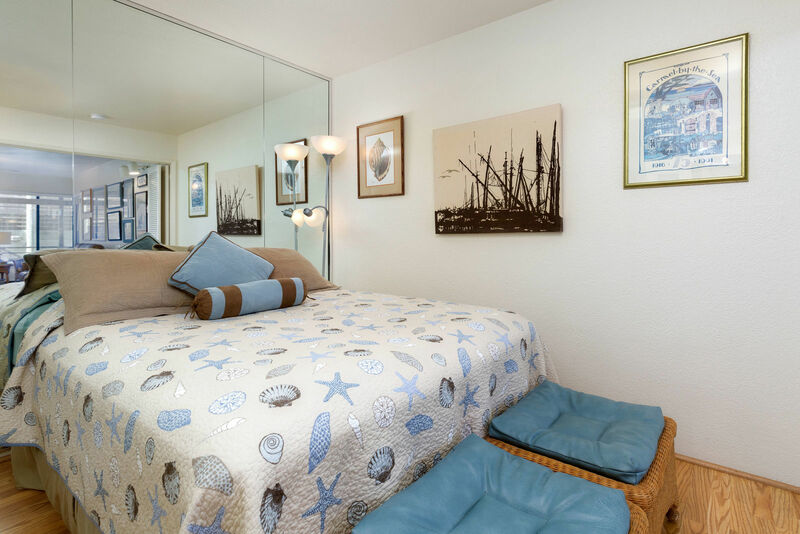 This one bedroom is 50 yards from the Pacific Ocean. 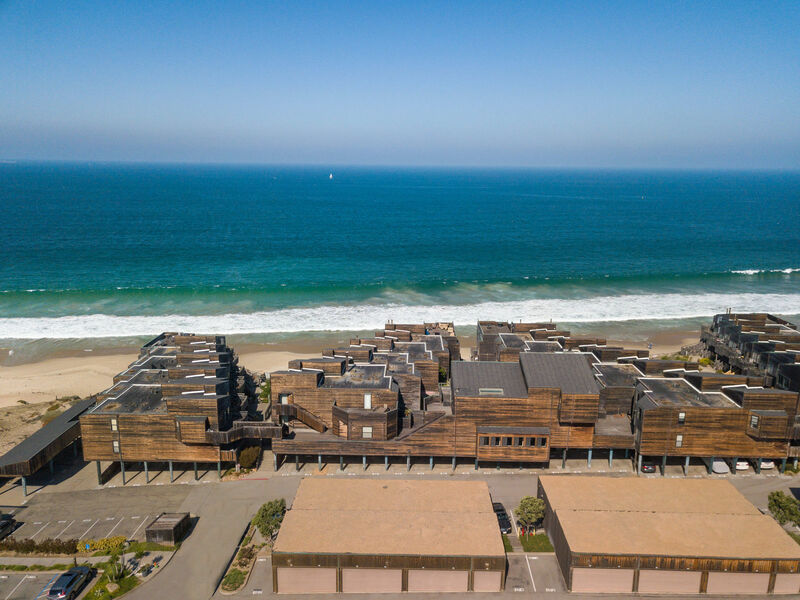 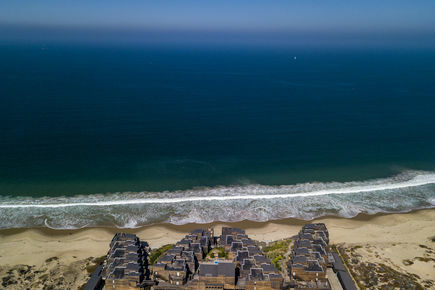 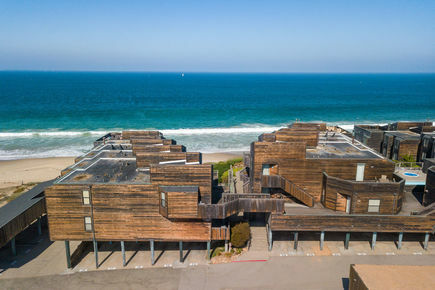 Unit is located in the "1 Building" closest to the ocean. Enjoy the refreshing morning air on your front deck, with added privacy from the stairwell. 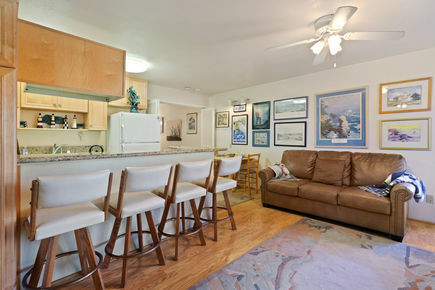 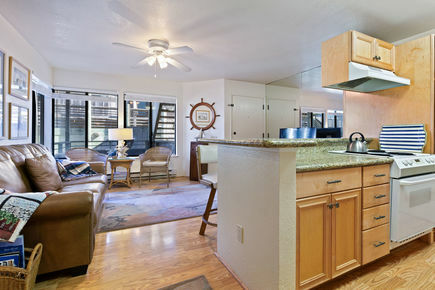 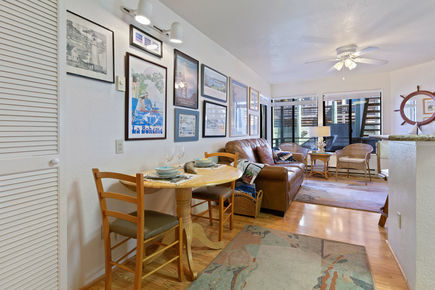 Interior is furnished with adoring beach style decor. 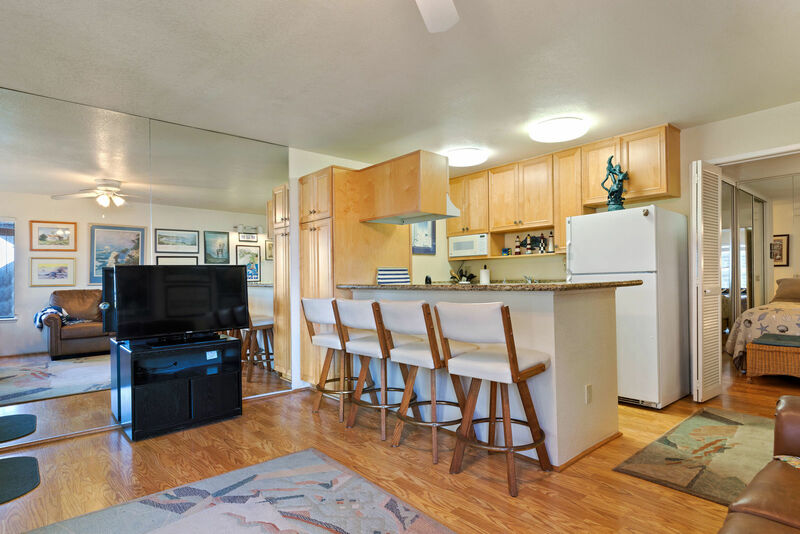 Updated with granite counter tops throughout, laminate flooring, dishwasher, electric range w/hood, ceiling fan, queen bed, large closet w/ storage, all appliances included in sale. 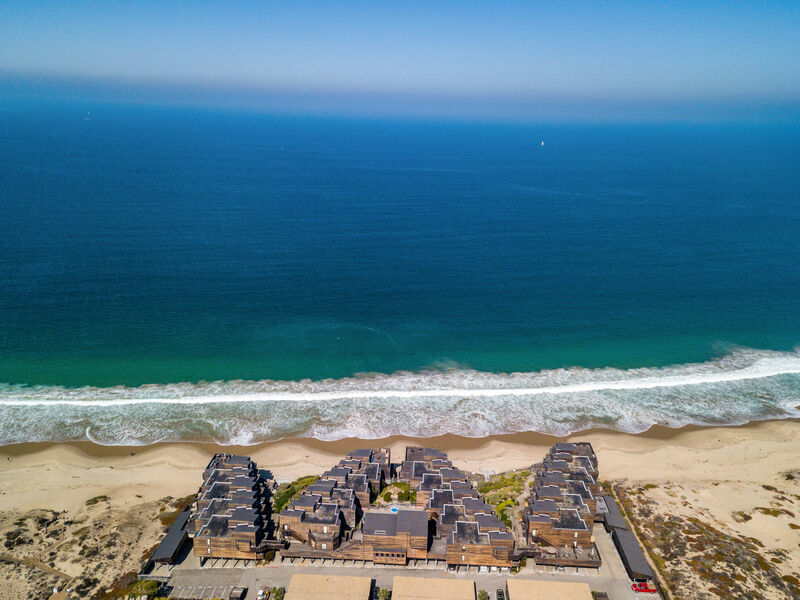 Private, gated beach access. 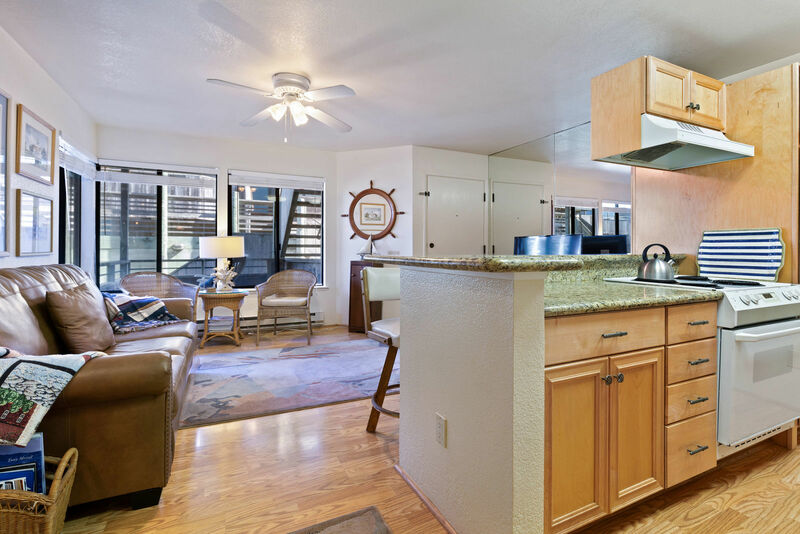 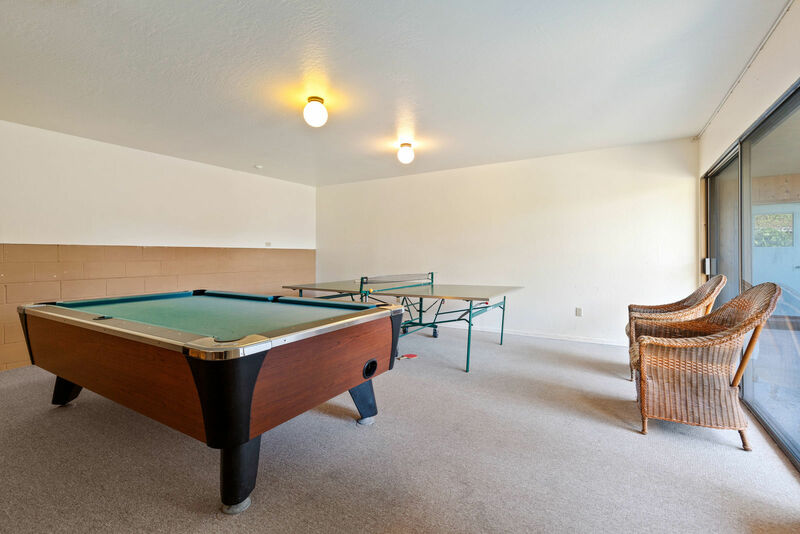 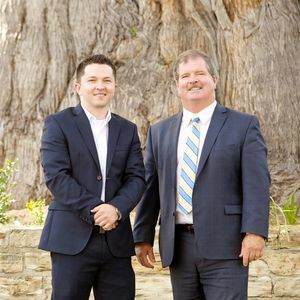 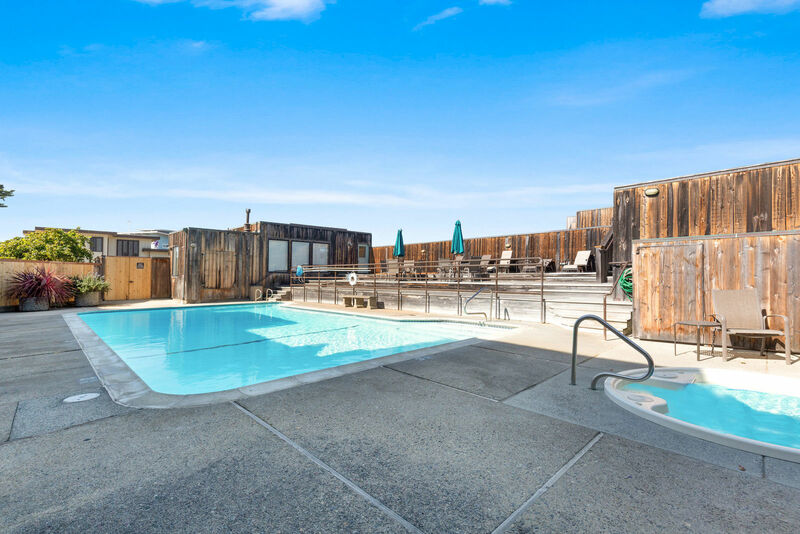 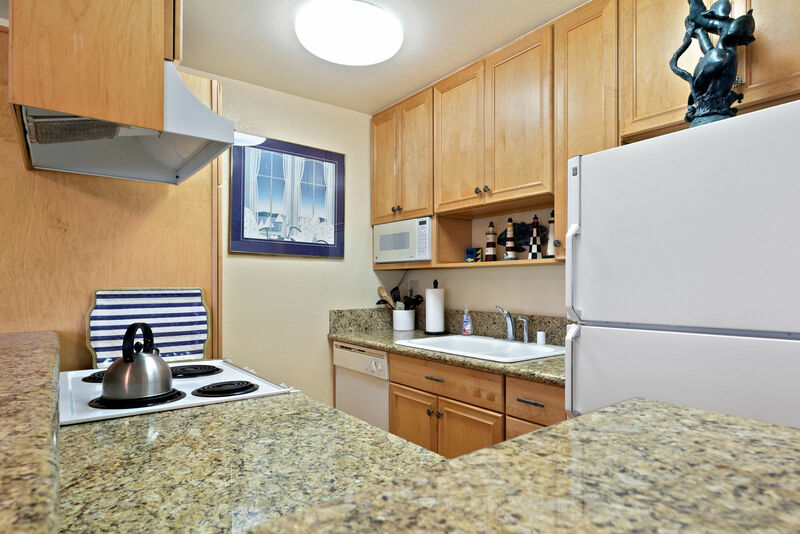 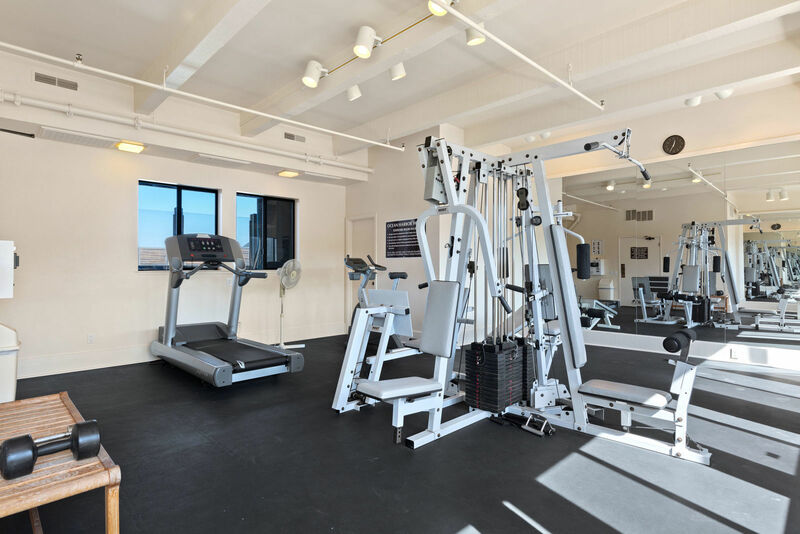 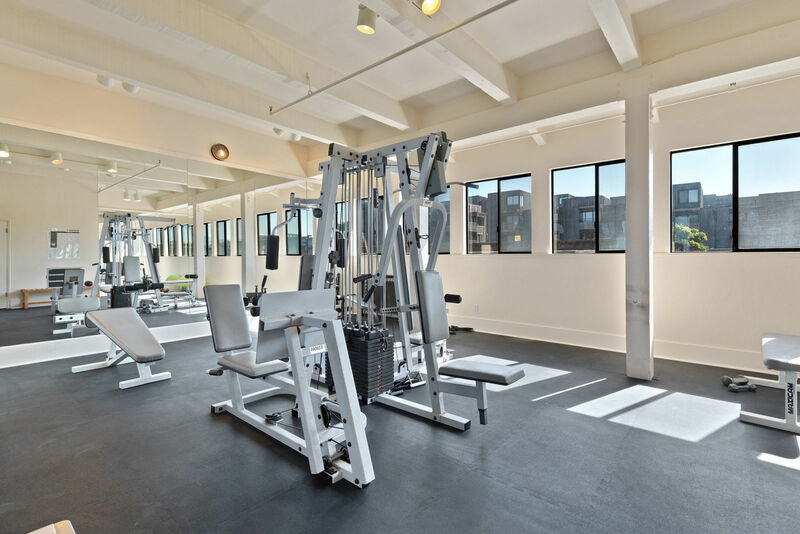 Complex amenities are extensive, 2 heated pools with hot tubs, steam room & sauna, fitness room, game room with billiards, picnic area, fenced/gated community, private security service. 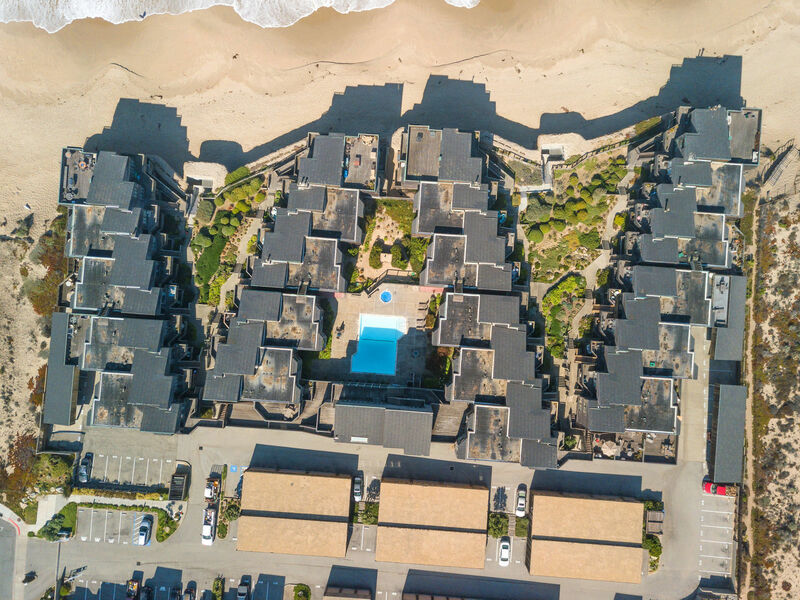 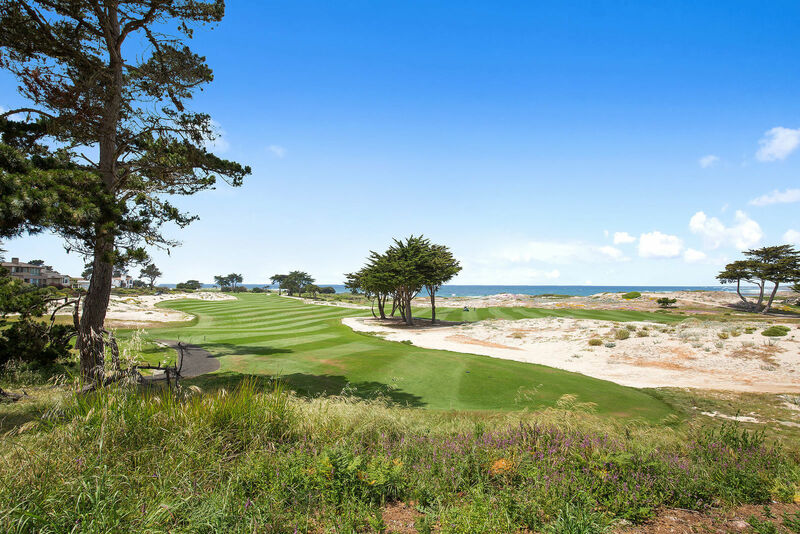 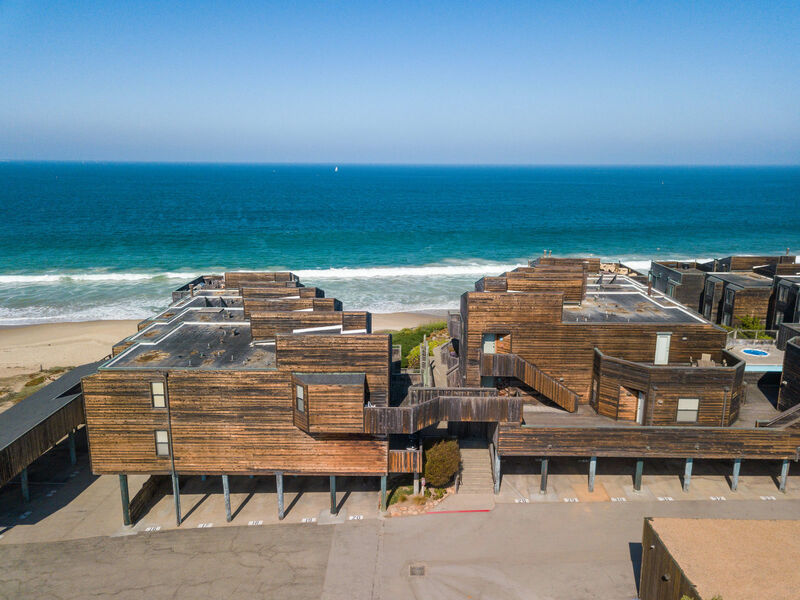 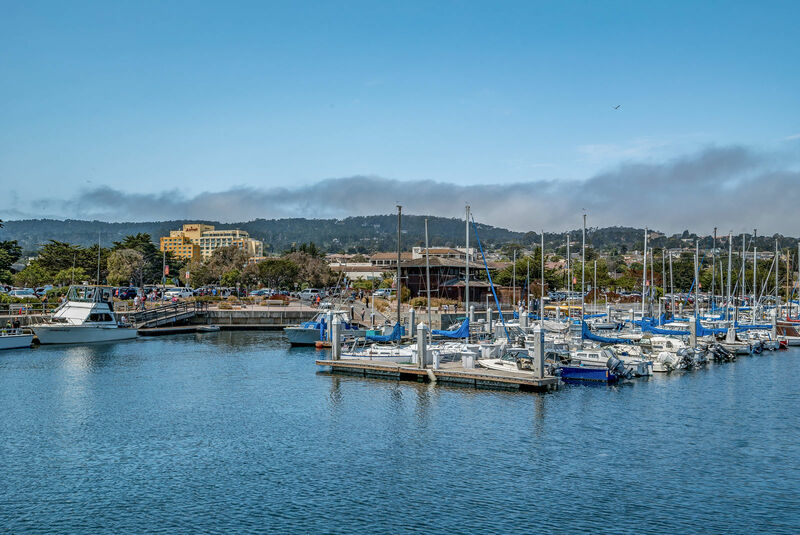 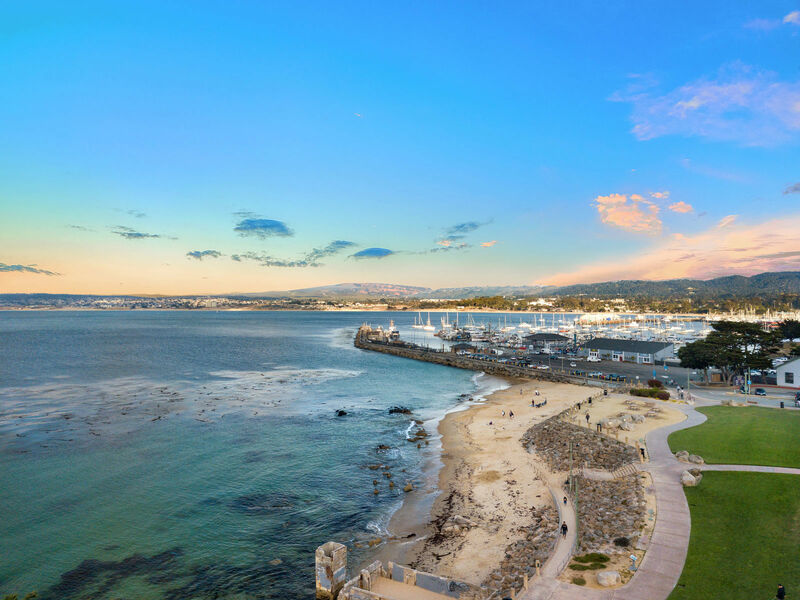 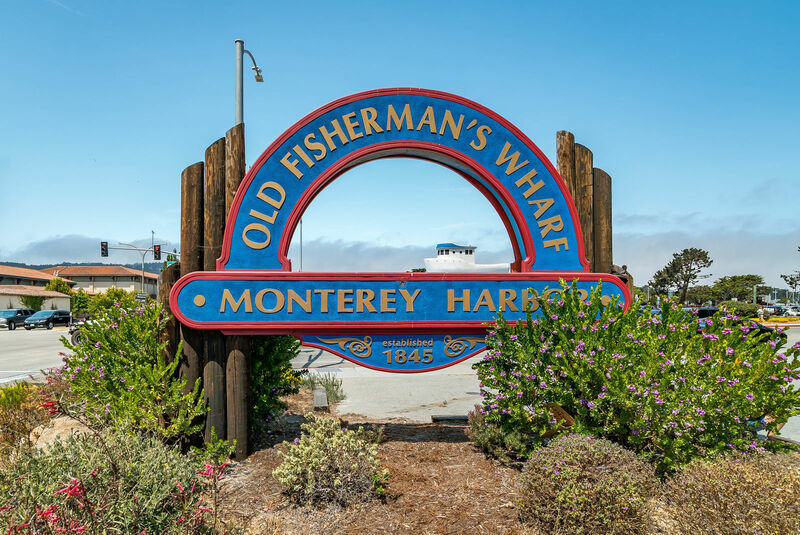 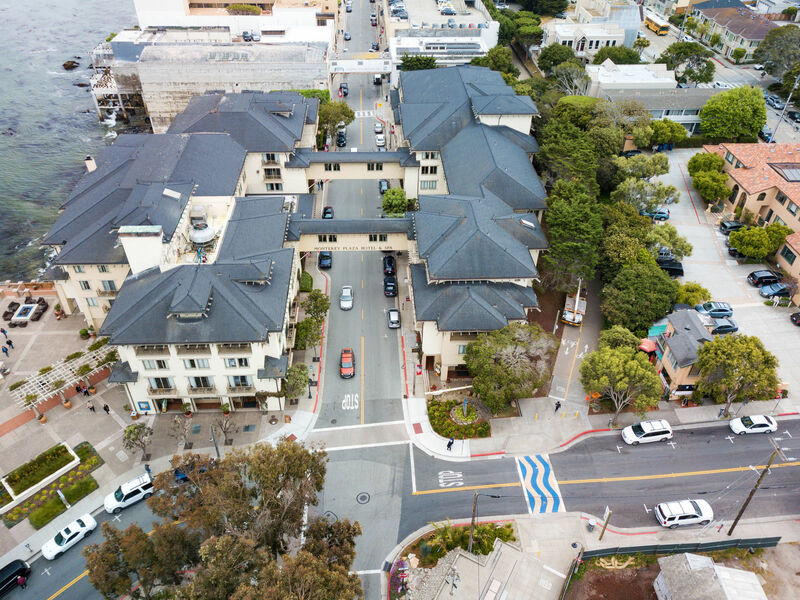 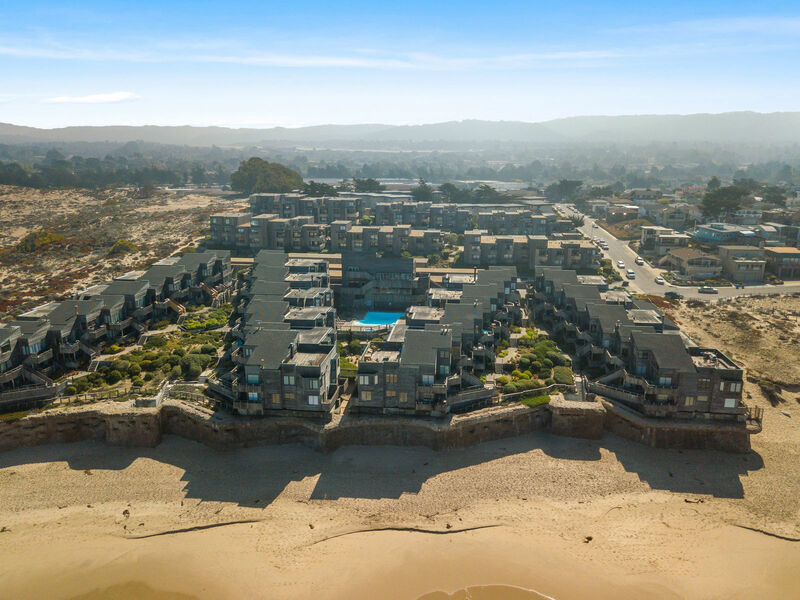 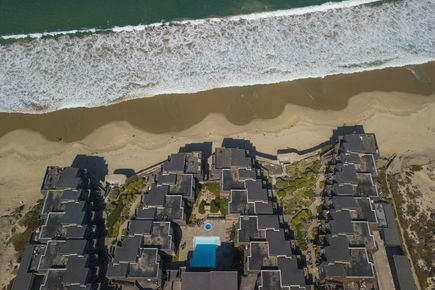 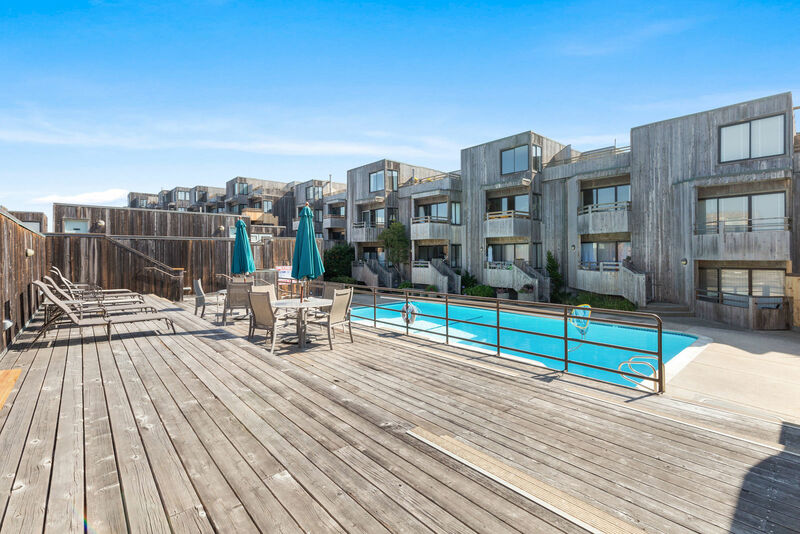 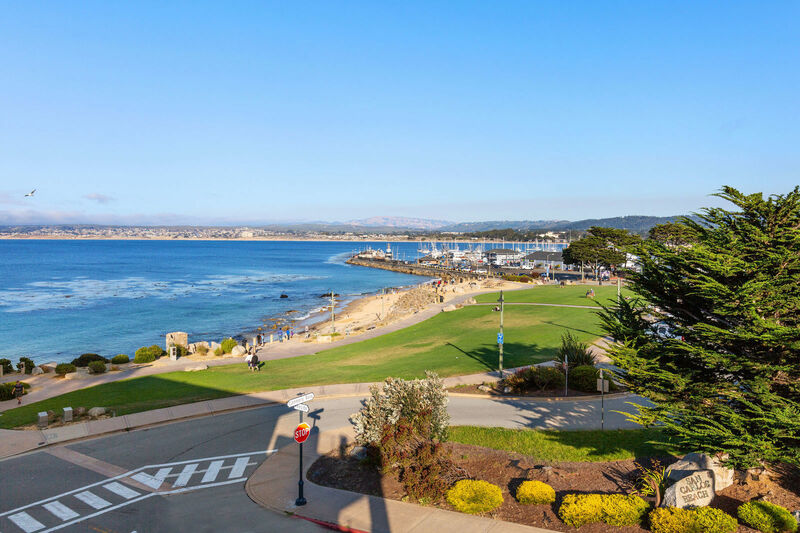 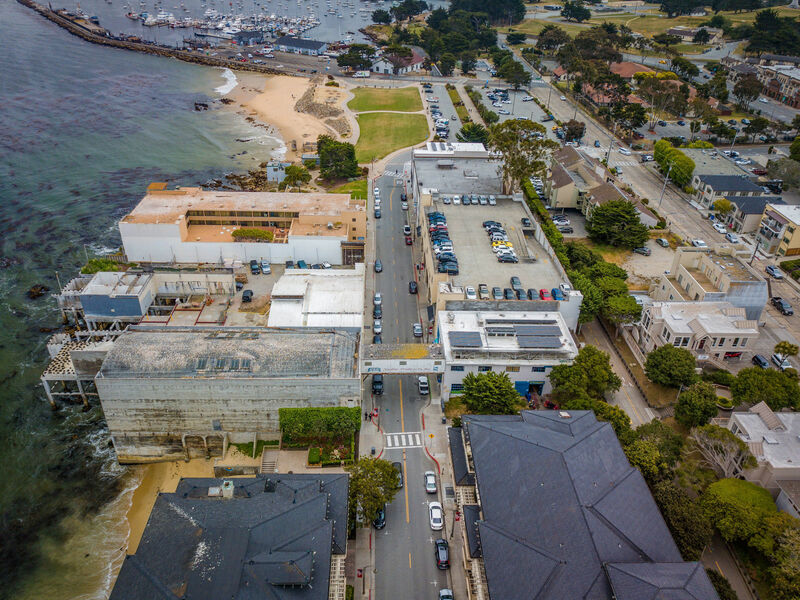 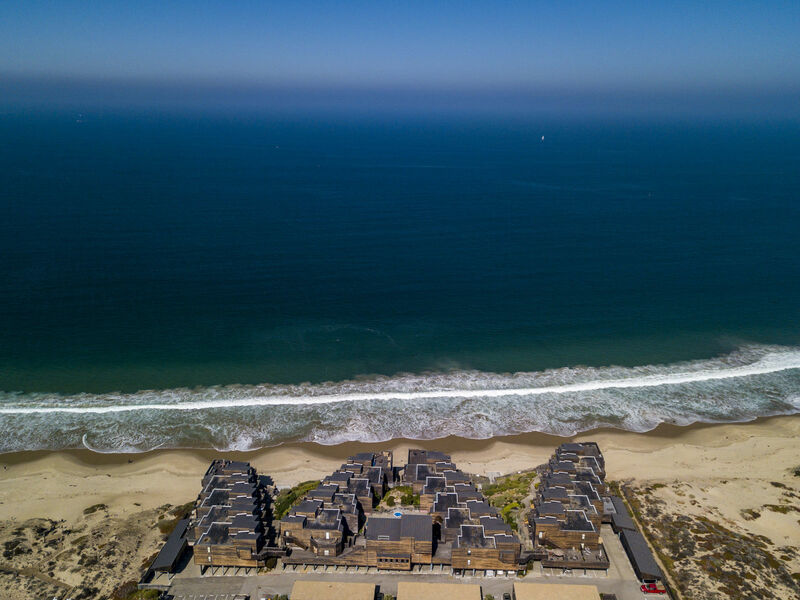 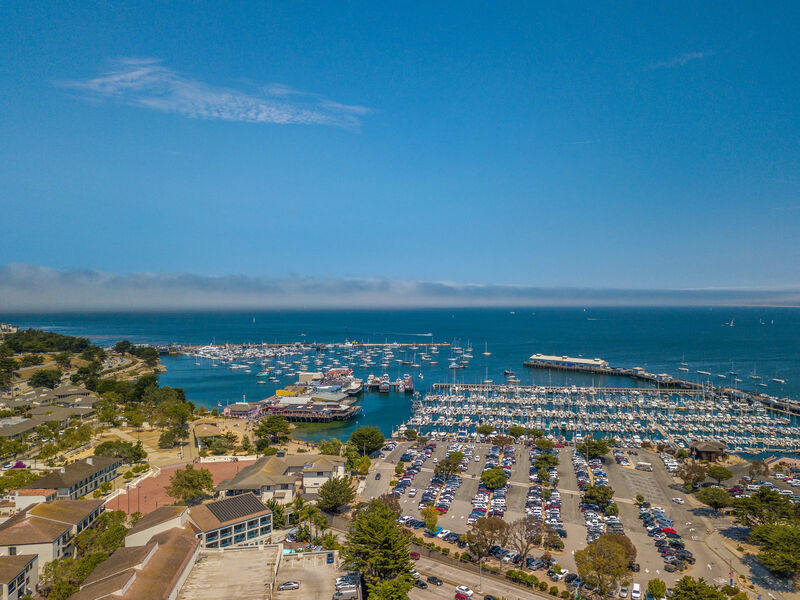 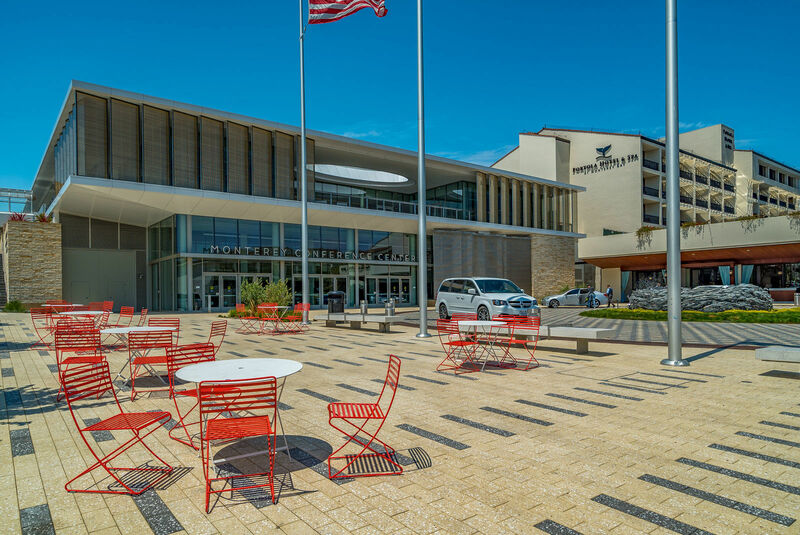 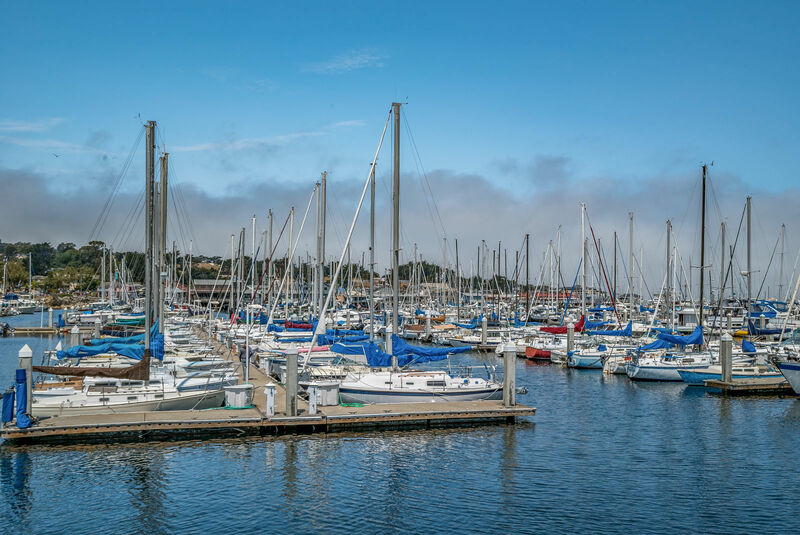 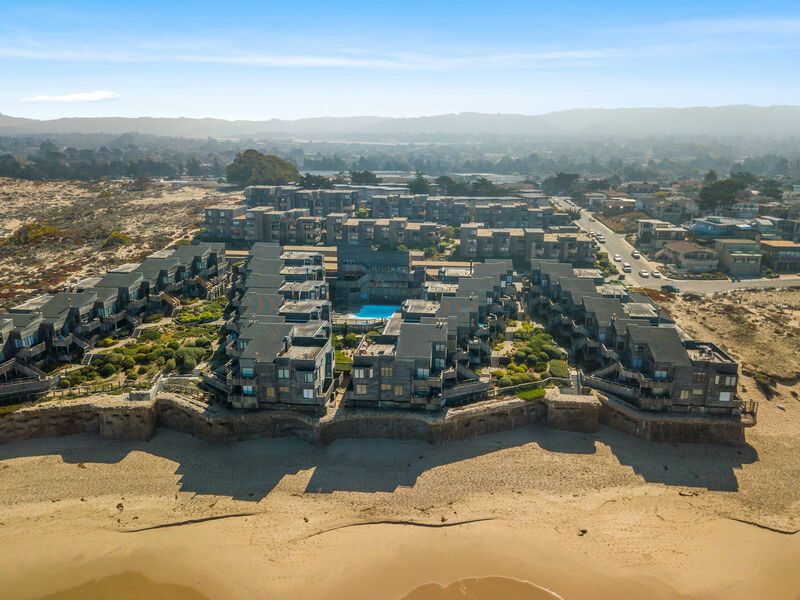 This landmark Monterey complex has also been featured on the HBO special "Big Little Lies".